Here's a mini interview with me about one of my iOS tracks in iOS Music And You. Since everyone is posting about their faith journey today, I thought I'd post mine: I was baptized a Catholic when I was a little over a month old. I missed going to Mass once on the Feast of the Assumption of Mary, back in August, 1997, and I still feel terrible about it. That's about it. The blog, Elwood! The blog! Well, I thought it would take a few more weeks, but apparently three days is all it takes for Amazon MP3 and Lala to post your new album on their websites for listening (LaLa gives you the first listen for free) and purchase. iTunes, Rhapsody, and eMusic, it seems take a bit longer. 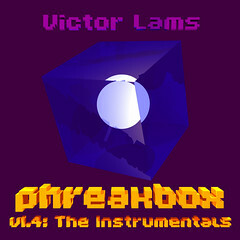 So, yeah: phreakbox v1.4: The Instrumentals is out today!!!! Expect a full page for the album soon, including a link to purchase a physical CD copy of the product (once I approve it). But in the meantime if you want to get your (mostly) mellow electronic jazz downtempo loungecore chiptune worldbeat groove on, head over to the album on Amazon MP3 or Lala and give it a listen (and if you like it, download a track or two or the whole album). It's very chill. 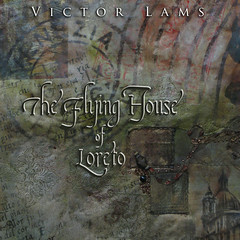 Also, while at Amazon MP3 or Lala (and soon iTunes and Rhapsody) you may notice another single I've recently released, "The Flying House of Loreto". This is a track I did a little while back which has become very popular on the net (to date this year, it's been downloaded over 16,000 times from my website). If you like, give it a listen and a download too. It may just give you the inspiration you need to do whatever it is you need to do today (heck, I mean, if a house can fly anything is pretty much possible). Jackie did the cover design for the single, incorporating one of her recent fiber art pieces... I've gotten a lot of good feedback on that. And, as always, if you haven't gotten your daily dose of Robot Love recently, you can download my first CD on iTunes, Rhapsody, Amazon MP3 and a number of other places around the net. We're over at StudioLams Weblog. Come join us! Okay, so here's the latest: I'm thinking of releasing a couple of direct-to-digital-distribution (think iTunes and Rhapsody, because that's where they'd show up) albums. No real definite plans, but one would be a 20+ song retrospectacle of the weirder tunes I've done over the last few years, maybe another would be a Love Hive EP (you know you want it), and a third still (maybe next year, early 2009) would be "Catechism Rock: The Album" finally. And then maybe also next year an album of all new stuff (I think "In Bed" is dead, but maybe I could get some friends together and make some real music). Wowsers, Inspector Gadget, new music on the Professor Whimsey Page. Check it out!